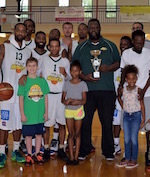 Palm Beach Knights are the 2018 FBA Champions! 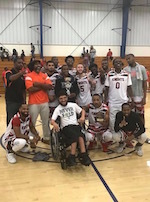 The Florida Basketball Association (FBA) will add the Winter Park Storm out of Winter Park, Florida for the upcoming 2019 season. The Storm will be owned by Ernest Jones, a veteran professional basketball player who finished his playing career with the Florida Flight, also a member of the FBA. The Storm will play their home games at the Winter Park Community Center located in downtown Winter Park. 'We're excited to have another FBA team in the central Florida region,' said FBA Commissioner Greg Kite. 'There's a lot of talent in central Florida, and there's a real need for additional opportunities for players to continue playing after college.' As with all FBA teams, the Storm will use a mix of scouting, recruiting and open tryouts to build their roster. The team will host their first ever tryout on Saturday, March 3rd at their home venue. 'I'm excited to transition from player to owner, said Jones. 'It's been great seeing the FBA grow. I'm looking forward to building on to what's already been established and bringing a team to the beautiful city of Winter Park.' The Storm will begin play in April of 2019. The Florida Basketball Association (FBA) has added Tampa, Florida to the list of expansion for the upcoming 2019 season. The team, known as the Tampa Gunners, will be owned by an investment group led by former Florida Flight player Daniel Rodriguez. The team will be a travel only team, and be ineligible for playoff competition. The Gunners will play a minimum of six games this season, consisting mostly of road games against current FBA teams. The coaching staff and team has already been assembled. An official announcement will follow in the coming weeks. FBA fans can get their first look at the Gunners on February 23. The Space Coast Stars will host the Gunners in an exhibition game at Calvary Chapel in Melbourne, Florida. Game time is 1:15pm. Tickets are $5.00, and kids are free.